The good news: Sunny weather has arrived! When you are out enjoying the sunshine this summer, it’s important to protect your skin cells from the full strength of the UV radiation. The safest option is to apply sunscreen made with zinc oxide or titanium dioxidewhich act as a shield from the UV. These chemical sunscreens are effective for broad UV protection, but their small carbon-based particles are absorbed through your skin, can clog your pores and studies suggest they may act on hormone pathways once in your body. Reports by the Center for Disease Control show that the vast majority of people tested are excreting Oxybenzone in their urine. This means the chemical is circulating through their body. Just like plastics and other known toxins, Oxybenzone and its cousins demonstrate estrogenic activity. This means they can mimic the estrogen and likely disrupt the hormone balance in women, men and children. Most of us have heard that plastics and parabens (a common ingredient in skin products) can do harm by mimicking estrogen. 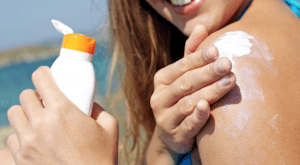 Chemical sunscreens, on the other hand, carry similar risks but are widely accepted as safe. Based on results of prior studies, more data needs to be collected and evaluated before we can say that chemical sunscreens pose no harm. Infants and children are especially vulnerable to hormone-disrupting chemicals. Traditional zinc or titanium based sunscreen is safer and reliable for your little ones, and not hard to find. We carry sunscreen options in the clinic for all ages.Don’t hesitate to ask your doctor for recommendations. In the meantime, check your products at home and take a moment to familiarize yourself with the common brands containing chemical sunscreens. We have a few of our favorite at the clinic for you to try as testers. 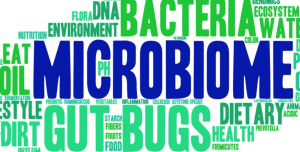 Learn more about your allergies! 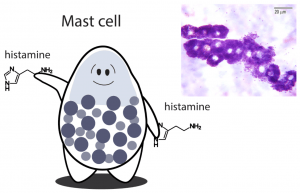 Worried About Histamine and Mast Cell Dysfunction? If you feel like your body is constantly battling new food allergies, rashes, hives, or mysterious aches and pains, you may have a histamine disorder. We all produce histamine as part of a healthy, active immune system. When histamines do their job correctly, they act as chemical messengers released by mast cells, which then travel to areas assaulted by allergens (like your nose filled with pollen). They tell your body to protect that tissue. Sometimes they do their job a bit too well and you end up with horrible spring allergies or even a life-threatening peanut allergy. In the case of mastocytosis or a mast cell activation disorder, you can experience numerous symptoms due to excess histamine throughout your body. This occurs when you have an abnormally high number of mast cells, or when your mast cells are over-producing histamine. Since there are so many possible symptoms, these not-so-rare conditions are often missed. No wonder this diagnosis gets missed! If you and your doctor know what to look for, diagnosing a mast cell activation disorder is possible. Often simple blood tests are enough. 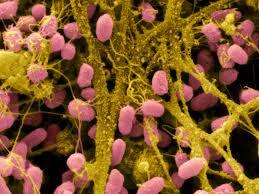 The medications used to treat these conditions include mast cell stabilizers, such as cromolyn sodium or ketotifen. Are there natural things that can help? Yes! We recommend you always consult with your doctor before introducing a new treatment. Even if you have all the signs and symptoms, you may not actually have a mast cell activation disorder. It’s important to get a diagnosis first, and you don’t want to risk interfering with diagnostic labs. It’s never too early to start a food diary and track when you experience any of your common health complaints after specific meals. Low progesterone is one of the most common hormone imbalances women face. Depending on your age, it can create different challenges. A middle-aged woman heading toward menopause might notice heavier, painful periods and mood changes. 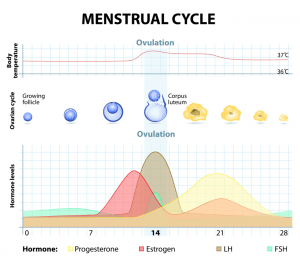 Periods might also be more frequent, because the second half of her cycle (the luteal phase) is getting shorter. This often happens when her ovaries produce too little progesterone after ovulation, or in some cases, fail to ovulate altogether. The same thing can happen to a younger woman, and once again the challenge may be irregular or frequent periods. She could experience worsening PMS and mood changes. The younger woman may also find becoming pregnant more challenging. Implantation (when the fertilized egg attaches itself to the uterus) usually takes place 7-10 days after ovulation. If her period comes before implantation can occur, she is unlikely to conceive. After ovulation, the ovary should create enough progesterone to keep the uterine lining intact for an average of 12-14 days. This allows time for a fertilized egg to attempt implantation. If your luteal phase is 9 days or less, you have a luteal phase defect. If you’ve had trouble getting pregnant, or you noticed your periods seem to come early, it’s possible that you have a luteal phase defect. It is worth noting that not every woman ovulates on day 14, so an “early period” might be normal for some. If you ovulate on day 10, for example, and your average luteal phase is 12 days, your period could come on day 22 of your cycle. If you were to do the math assuming a day 14 ovulation, you would incorrectly think you had an 8 day luteal phase. So how do you know if you have a luteal phase defect? Try collecting some data! This will help you and your physician to figure out the puzzle. Pick up a few packs of ovulation test strips (just like pregnancy tests, you get to pee on a stick). After your next period ends, begin testing every morning until you get a firm positive. In most cases, you will ovulate within 24 hours. You can then record that date and keep track how many days pass until your period arrives. You will also want to get your hormones tests. Your doctor might ask for you to come in on day 3 or day 21 of your cycle depending on which hormones they are running. At the very least, you want to get a progesterone level on day 21 (if you ovulate around day 14). If you know that you ovulate several days before cycle day 14, or several days after, your doctor can adjust when they test for the hormone. What causes a luteal phase defect? How do we treat a luteal phase defect with naturopathic medicine? The key to regaining a normal luteal phase is understanding why it became short in the first place. This is the part where you and your physician get to be detectives. It might require a prescription, such as thyroid hormone if it turns out you have hypothyroidism. 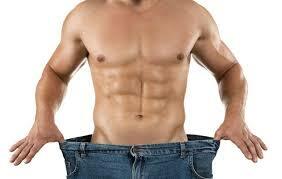 In other cases, diet and lifestyle changes may be enough.